Nancy Pearl, who might be the only librarian who can boast her own action figure, has a rule of 50: read the first 50 pages, and if you don't like it, move on. 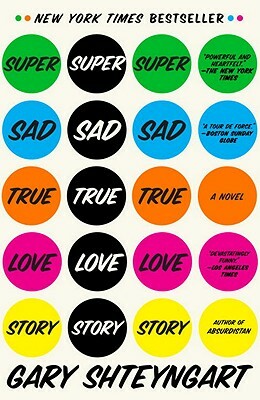 I am 56 pages in to Super Sad True Love Story, and I do not love it. In fact, I don't even like it. But I've heard some really good things about this one (and definitely good things about the author's other works), and I've had the ARC on my shelf since... well, since they were sending out ARCs of this book. I can't quite explain why I'm hesitating in declaring it unfinished and moving on, but I am. 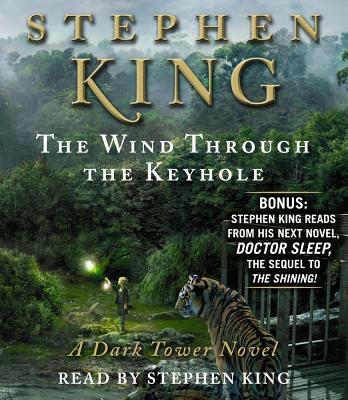 And so I'm hoping some of you have read it and can tell me -- is it worth sticking with it? Does it get better? Or at least get interesting? Or should I just give it up and move on? And this is my prayer to the movie gods, the book gods, the Fitzgerald gods: please, please, please, let it be good. No--let it be wonderful. Let it be beautiful. Let it be Baz Luhrmann's best work, and not his worst. Let it be as wonderful as the story and the casting and the costumes and the set suggest it could be. What do you all think? Will it live up to expectations? Because this is one movie adaptation I don't think I can't stand to see flop. Ok, I know. Everyone saw the Hunger Games movie like... months ago. And blogged about it in a reasonably timely manner. And said intelligent, engaging things about it. Here's what I have to say about it: the book was better. Shocking, I know! A blog post in which a self-proclaimed bookworm stands by the tried-and-true maxim of the book always winning out over the movie. But really, the book was better. Wasn't it? Don't get me wrong, the movie was interesting. And the Capitol - the Capitol! - was breathtaking and amazing and colorful and vivid and almost exactly like it was in my head. But most of the characters fell flat for me (including Lenny's performance as Cinna; while he looked the part, he really didn't have the oomph that Cinna had in my head), and it just felt... long. For a 300-odd page book (written in a large font with large margins), I was shocked when I found out (during the previews, mind you) that I was in for a two-hour plus viewing. And disappointed that the games themselves didn't really start until over halfway through. And even more disappointed when (spoiler alert) they changed the ending of the movie. Well, maybe not changed entirely, but definitely ended earlier/differently than in the book. Which is all just a really, really, really long way of saying that the book is still better than the movie. Even an action-packed teen movie with a bunch of heart-throbs in it. Because unfortunately, those heart-throbs aren't great at line delivery (I'm looking at you, Gale). Of course, I'll see the next two movies. And by the way -- reviews of the second two books to come (one of these days). I read them on the flight to Italy. Perfect airtime reading, if I do say so myself. I've made commitment after commitment to myself that I will focus on reading books I already own. That I will finally start to tackle the ridiculous collection of tomes that threaten to pull down the Billy Bookcases in my living room. That I will actually acknowledge the existing to-be-read list (which is in no way a literal list) instead of just adding to it. The time has come for me to make this commitment public. Deep breaths. Here goes. From now until September 1, I will only read books I already own. * This includes my forays to the library for audiobooks; I will be seeking out audio versions of books that already adorn my shelves. *I do have a review commitment to Shelf Awareness for Readers, so I will still be reading/reviewing ARCs as assigned... but only as assigned. Irina Ellison has spent most of her life watching her father die, standing by as Huntington's destroyed first his body, and then his mind. His demise is a map of what her own will be; her own diagnosis gives her the certainty that she will one day lose control of her body and mind as certainly as he did, though she can only guess when it will begin. First a twitch of an arm, then a loss of control, then a loss of memory, of self, of personality. Her entire life becomes a question she seems incapable of answering: how should she live, if she knows it is all for naught? "My major character flaw," she writes, "is an inability to invest in lost causes. When you are the lost cause, this makes for a lonely life." And so it is not so surprising, really, that when her father finally dies, she abandons what little life she has in Massachusetts--a job as a lecturer, a mother, a chess opponent in the park, a budding romance--in pursuit of an answer to the question, one that she finds her father addressed, once upon a time, to the world's most famous chess player: the Russian Aleksandr Bezetov. Aleksandr and Irina are linked by nothing more than the unanswered letter her father once penned, but Jennifer duBois weaves their stories together with a stunning delicacy that is all the more apparent after the last page turns; herein lies the greatest power of duBois' debut novel. 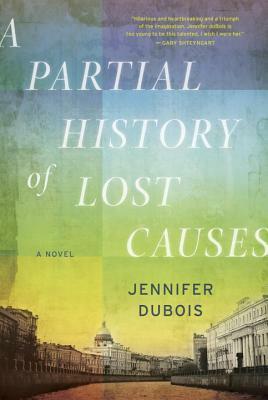 A Partial History of Lost Causes is brilliant in its subtleties, paired neatly with a heavy hand of philosophical musings on the nature of death--and therefore life. What makes us who we are? And if the person we are is destined to disappear, what point is there? "Personality is continuity. Personality is the myth of continuity. And the person is lost when nothing can be old to him, when nothing can be familiar, when all parallels, all symbols, all analogs, are gone; when the world is perpetually stunning; when we are newborns again, at last." Most importantly, however, there is the question Irina and her father and the strange chess player she comes to befriend are all asking: How do I proceed if I know it is a lost cause? "You wouldn't be where you are if you weren't mostly a winner... And yet there have been games, matches, tournaments that you've lost. And among these, surely, are games, matches, tournaments that you've known all along you were losing... When you find yourself playing in such a game or a tournament, what is the proper way to proceed? What story do you tell yourself when that enormous certainty is upon you and you scrape up against the edges of your own self?" This is the question that ties together all of the otherwise disparate threads in A Partial History of Lost Causes, resulting in an intricate novel of multiple layers and truly compelling characters. It is a novel of love and loss, politics and games, strategies and defeats, and all of the little moments that make up a life before a life is swept away by a death. It is a reminder to appreciate what we have, to value what we've had, and to look forward to what is yet to come. It is the kind of novel you want to rush through, desperate to find out what happens, but also the kind you want to read carefully, to savor, to understand. It is also, incidentally, the best book I've read all year. 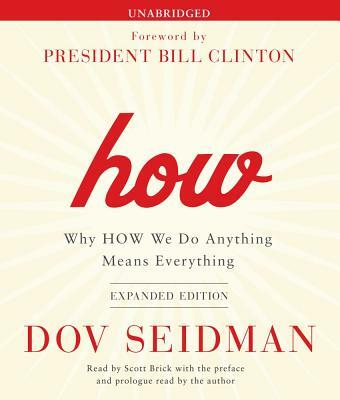 Note: Thanks to the publisher for providing an e-galley of this title for review, via NetGalley. This column originally ran in the May 1, 2012 edition of Shelf Awareness for Readers. Reprinted here with permission. If you haven't already, sign up here for a bi-weekly dose of readerly goodness in your inbox. The most iconic Mother's Day gifts are flowers and brunch, but why not celebrate the mothers in your life this year with one of these books that celebrates books themselves and the girls who love to read them? 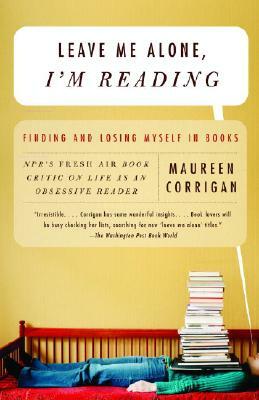 Maureen Corrigan, book critic on NPR's Fresh Air, hit the nail on the head with the title of her memoir: Leave Me Alone, I'm Reading: Finding and Losing Myself in Books. Corrigan explores the formative power of books in shaping her life, from her first recognition of people who don't understand the power of reading to her career as a professional book reviewer. She also details her love of books in three genres she "created" (female extreme adventure novels, hard-boiled detective stories and tales of Catholic saints and martyrs), leaving readers a history of a life dedicated to books and a powerful list of titles to add to the ever-growing to-be-read stack. Jo Walton's Among Others takes a more fantastical approach to the subject of the formative power of reading, but is still, at heart, an ode to the power of books to mold us into the people we become. As a child, Morwenna and her twin sister played in the industrial ruins near their home in Wales, where they befriended the spirits who lived among the ruins. When an accident claims the life of her twin and Morwenna is sent away to boarding school, she turns to books of science fiction and fantasy to keep her company. 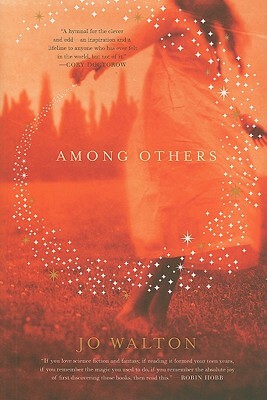 Through these books, she reconnects with the world, with other readers and with herself. Walton's delicate combination of classic Welsh mythology with the science fiction and fantasy titles of the 1980s is a powerful one, and like Corrigan's memoirs, will leave readers with a long list of titles to explore. 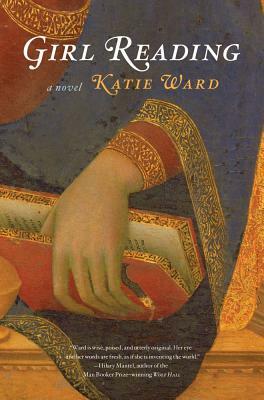 Katie Ward's debut novel, Girl, Reading, is in fact a series of self-contained, intertwined stories, each centering on the creation of a portrait of a girl, reading. The book begins in the 14th century and moves to the year 2060, with tales threaded together by the commonality of the creation of the portraits and persistent allusions to art and literature. The result is a novel that celebrates the intimate, delicate bond between women and their books--a subject no reading mother will want to miss. I spent most of today warding off the post-vacation blues, which were only amplified by the fact that it is also Monday. Four more days to go until the weekend (and a wedding!). But the post-vacation blues have left me with dozens of words, and thousands of sentences, welling up, with nowhere to go. I'm hoping that means I'll be able to finally catch up on the dozen+ reviews I haven't written. I did read three and a half books while travelling - the last two of the Hunger Games trilogy (finally), E. M. Forster's A Room with a View, and half of Jennifer Dubois A Partial History of Lost Causes (which is fan-freaking-tastic, thus far). Back with more later this week!